Nearly a year, the next generation of flagship millet millet 5 news and rumors four. While the legitimate consumer attention was attracted by millet 5, millet ready to another new machine quietly appeared in the benchmark data test site GeekBench. 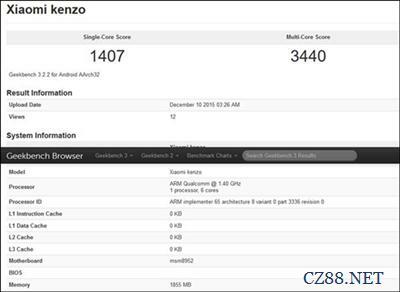 Recently, a code named "Kenzo Xiaomi" models appear in the GeekBench database. Message is displayed, the machine is equipped with Qualcomm snapdragon 618 six core processor, equipped with 2GB memory. Running on the points, the single thread score of 1407, the number of threads is 3440, the performance of the middle reaches level. 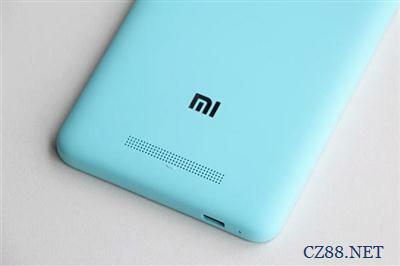 About 618 Xiaolong, it uses 28nm technology, two core A72 four A53 core design, launch Qualcomm for low-end mobile phone market of a processor. At present, there is no more information on this new machine millet. But the core wisdom, this is not available in the new machine or part of the red rice series, which is very likely to be red rice 3. Earlier, according to the news of the people @ QR frequently microblogging @ Mocha, in the release of red rice Note 2 Pro (in fact, has been listed on the red rice Note 3), after the Spring Festival will be launched millet millet and millet 5. At present, the millet 5 fingerprint identification and the processor configuration information of the media has been scratched upside down, but only 3 red rice has disappeared. If red rice 3 and millet 5 were available, then this time the red rice 3 related to the progress of millet red rice certainly active deployment. Therefore, this run into the surface that is likely to be big red rice 3. In November 24th, the millet conference, the head of the Lei in an interview revealed that the red rice mobile phone messages. He said, red rice phone using the 4.7 inch screen manufacturers are not many, the actual cost is higher than the big size, the next generation of red rice will give up 4.7 inches of red rice screen, to a more adequate capacity of 5 inches screen. 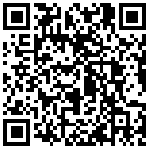 As for the red rice 3 will be equipped with fingerprint recognition, it is not yet known. But to be sure, in accordance with the millet has always been the style, this red rice series of new machine will be very price shock, or price will be maintained at 500-600 yuan, further to the low-end mobile phone market. Editor's note: Although we are accustomed to collectively referred to as a thousand machines for the low-end market, but in the eyes of millet, there is clearly a further division, the lowest 500 yuan, 700 yuan in the middle of the file and the file is close to 1000 yuan. Currently, after two stalls of red rice Note 2 and Note 3 have been published, the highly sought after consumers. And this time the red rice 3, the future will be to grab the low-end market share of millet.